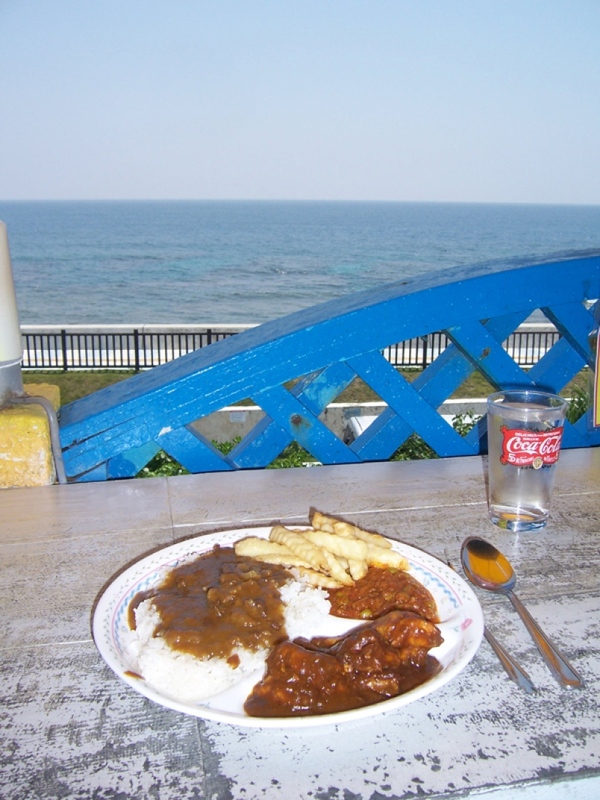 Curry House FAB (うみべのかれーやさんふぁぶ): perhaps better known to local gaijin as the “Yellow Curry House” for its bright yellow appearance along the Sunabe Seawall, this “mom& pop” establishment serves a wide variety of fresh world-inspired curries for lunch and dinner. 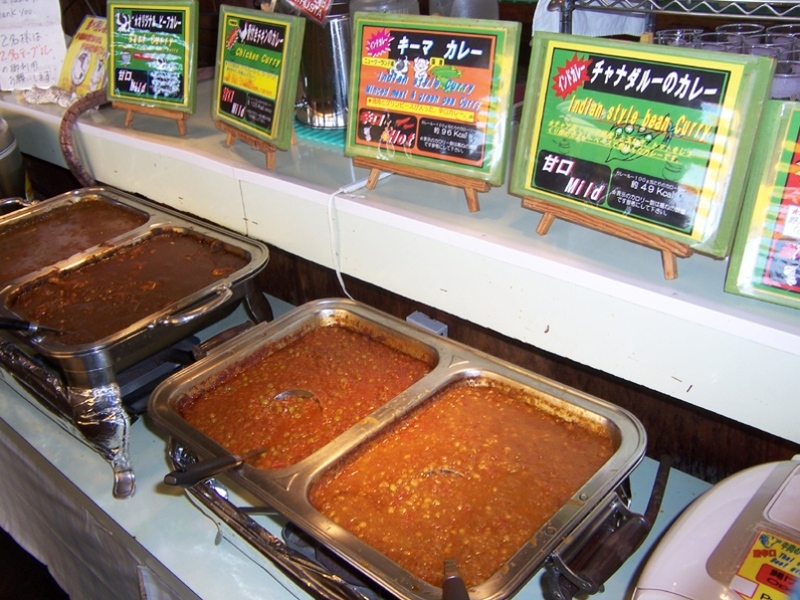 Oh, did I mention it’s an all-you-can-eat curry buffet?!? 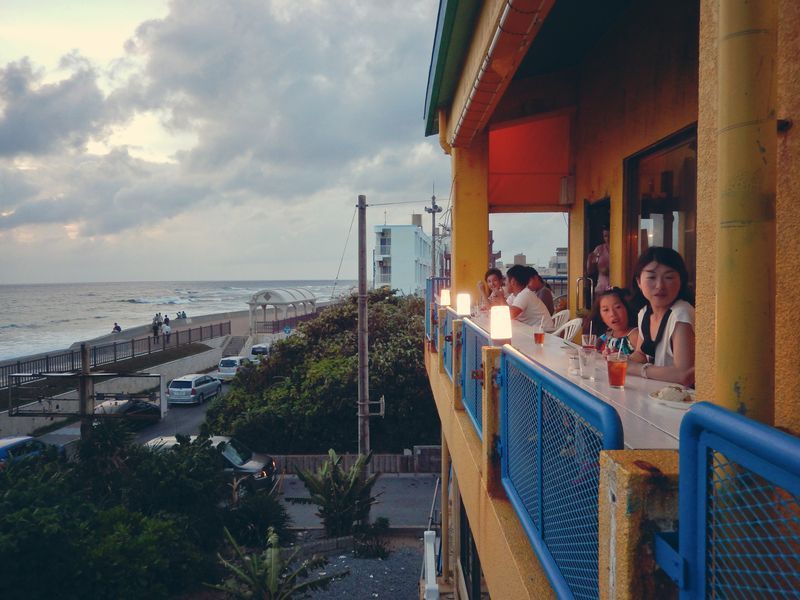 Ambiance: Local establishment with a very casual atmosphere and terrific 3rd story eat-in balcony overlooking Sunabe Seawall and the East China Sea. As is always the case along Sunabe, there is very limited parking. Service: Serve yourself! Including drinks, water, salad, desserts, and, of course, the curry. Naan is baked fresh to order and only takes a few minutes. Cocktails: Beer and “Beer Set” are available. Features: Fabulous but rustic outdoor seating along their bar-balcony and outside balcony tables are available. Inside seating is limited, but additional tables are found up a steep flight of stairs. Kid-friendly; sorry, no pets. Yen only, but credit is okay, and English menu is available. 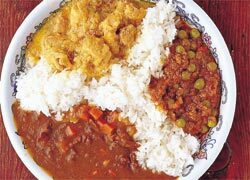 Cuisine: Six world-inspired curries (Japanese, Indian, Thai) cooked fresh and served hot. Price/Value: Exceptional. 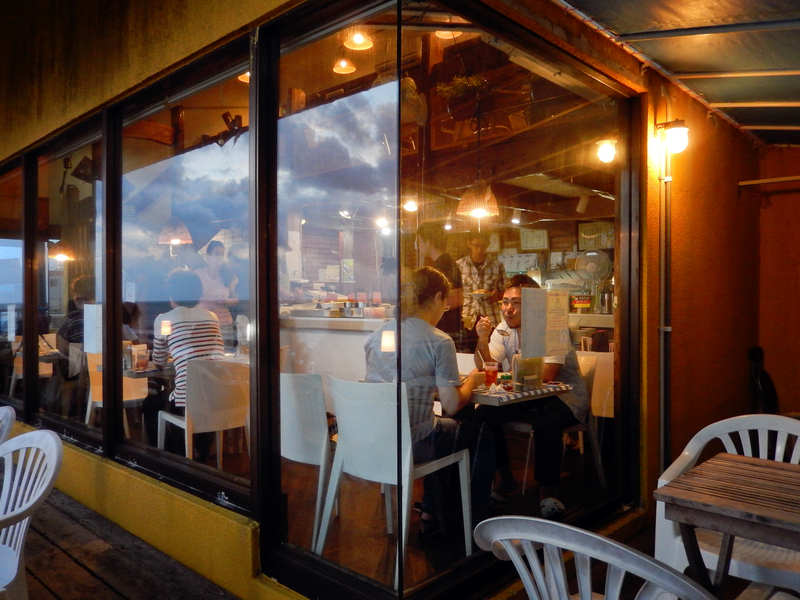 Ranked 4 of 5 stars on Trip Advisor, and as the #10 of 129 restaurants in Chatan-Cho. I’m not sure what’s better: the sunset, the curry, or my view of Jody! 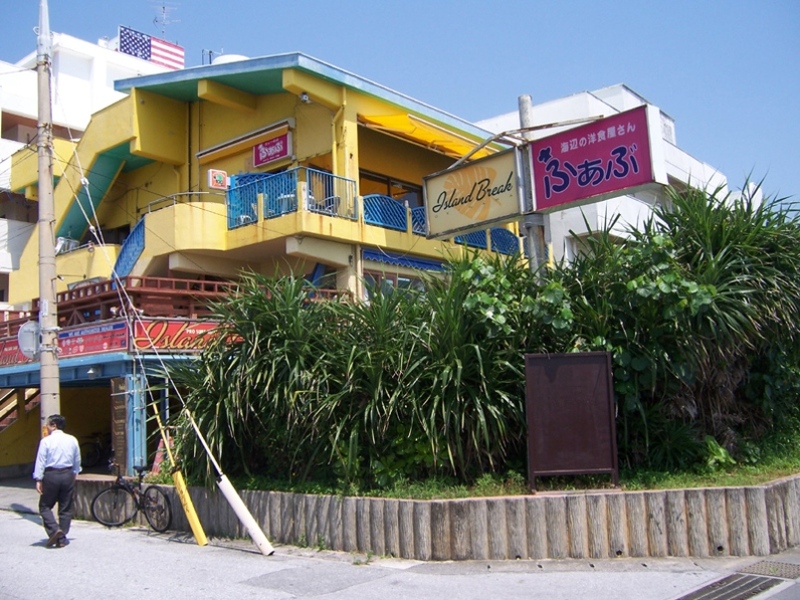 I started eating at FAB back in 1999, when I discovered the joys of diving along the Sunabe Seawall of Miyagi, Chatan Cho, and I was so relieved to see it still doing a brisk business upon my return last year (2013). Although it might have taken quite some time to discover this eatery on my own, I, like most other gaijin, were introduced to this den of deliciousness by fellow divers. Stated quite simply, it’s a local, fresh, curry buffet which includes drinks (water, tea), rice, French fries, salad, a single serving of freshly baked naan, and dessert, all for under $10. 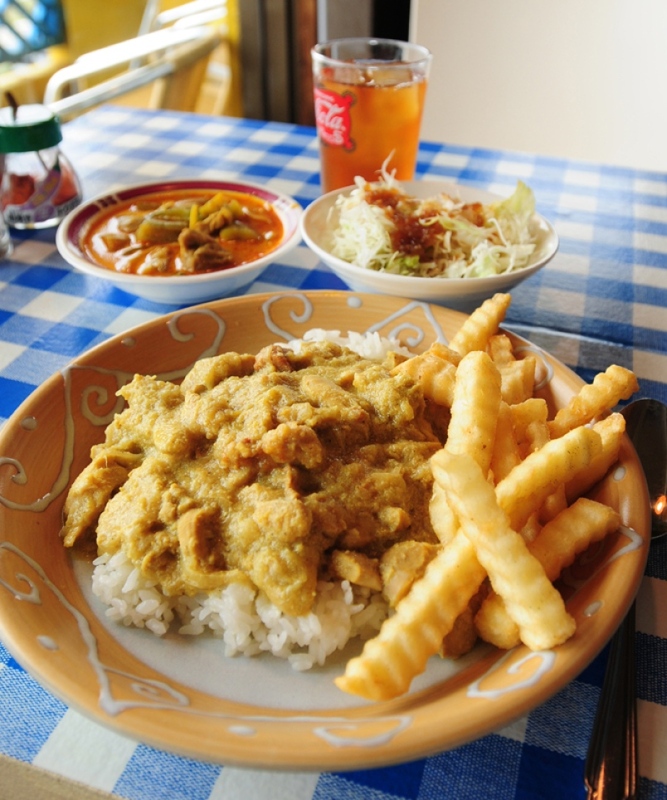 The curries are offered on a varied schedule be day of the week, and include yogurt chicken curry with onions, yogurt chicken curry (sweet), and, if you like your curry more spicy, try two different “tastes” of Thai curry. There is a vegetarian curry offered, along with some Indian-inspired staples. 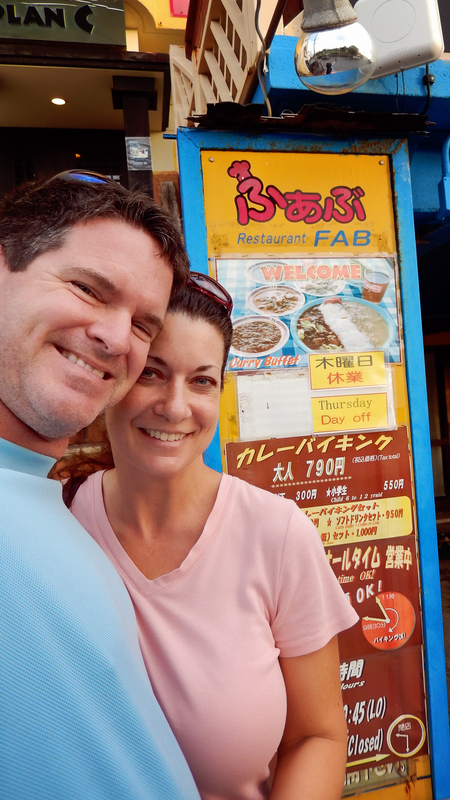 Their Japanese ginger-dressing is the absolute perfect topping on their freshly shredded cabbage salad, and while I haven’t tried their desserts, they seem very popular with the local Japanese and Okinawans. In fact, see this page for a coupon for a free dessert! My kids used to love this place! If you are tired of the usual suspects when it comes to curry (think “Coco Curry), take a slight detour down to the seawall. 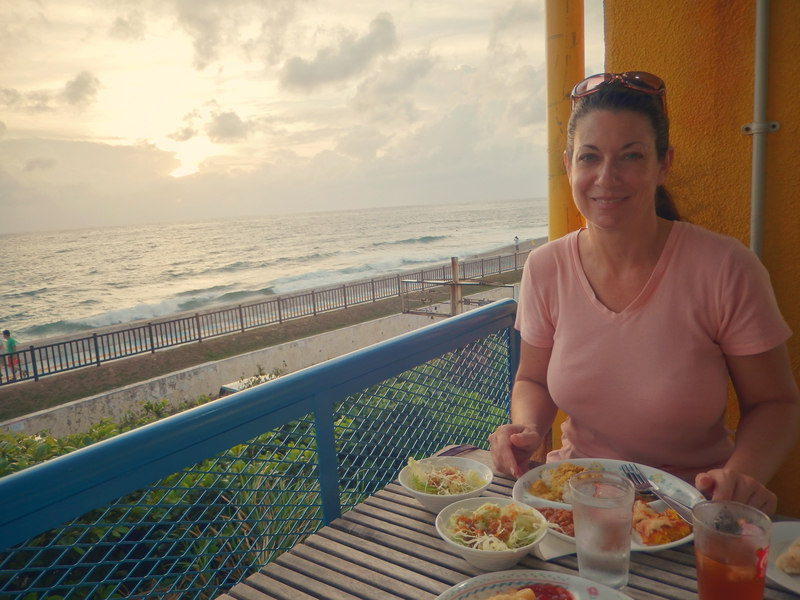 Not only will you fill your belly, you can fill the rest of your senses by taking in a fresh ocean breeze, and perhaps enjoy the setting sun during a casual after dinner stroll. FAB is, in a word, FABULOUS, and never fails to please. You can’t miss this appearance!! 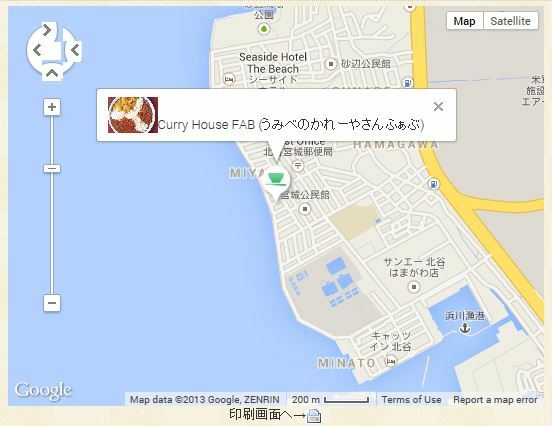 Directions: see map graphic; address 1-655 Miyagi Chatan Cho. 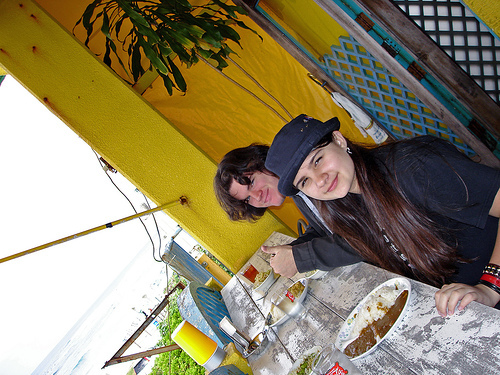 FAB is located adjacent to a small green space/park, just south of a gazebo along the seawall. Look up at the third floors of the buildings nearby and you won’t miss the brightness of the “Yellow” curry house!